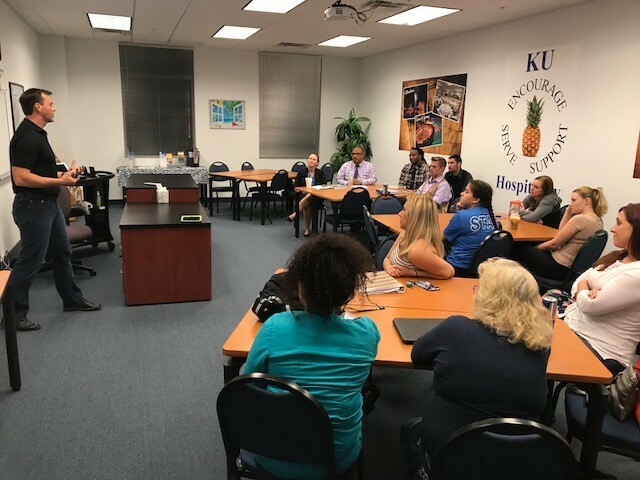 Students from the Fort Myers Business Administration and Hospitality programs recently came together to hear advice from Scott Vail of C4 Communications regarding how to be successful as a non-traditional college student. He spoke about how to overcome challenges like family support, work, and finances. Being open to insights provided by others is a major key to growth, both professionally and personally, which is what Keiser University strives for with its students.